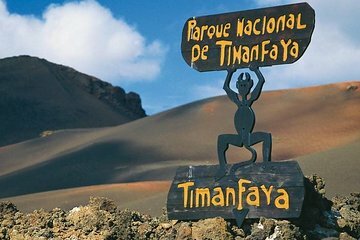 Sun-drenched Lanzarote, in the Canary Islands, is celebrated for the natural beauty of its Timanfaya National Park. Travelers avoid the hassle of booking transportation—and navigating the park's 19 square miles (49 square kilometers)—on this hassle-free, guided tour. Easily get around on an air-conditioned bus to see the colorful, rocky landscape, and end your tour with an included wine tasting. Upgrade with the camel ride option to experience the volcanic landscape up close.